Bubble Magic Rosin 45 Micron Small Bag (10pcs) - FREE Shipping! Bubble Magic Rosin Bags are designed to help separate essential oils from plant material through the use of heat and pressure. These bags are highly durable and heat resistant, and may be used with both hand operated or pneumatic presses. 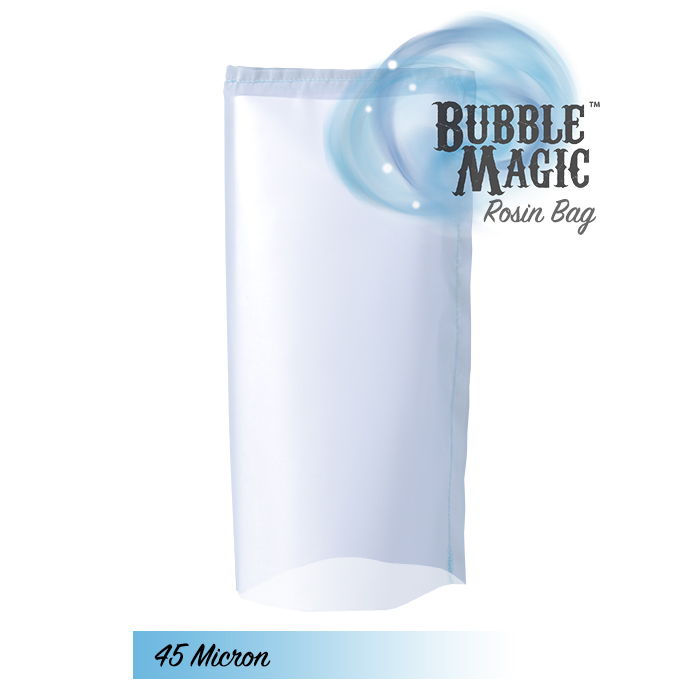 Bubble Magic Rosin Bags are offered in 2 sizes and 3 different microns. The small bag measures 2.5" wide by 5" long and the large bag measures 5.5" wide and 7" long.